It’s only the second day of December and, as is probably the case with many of you, I have already received a handful of invitations to holiday parties, potlucks, and meals. If you’re looking to whip up a quick, healthy, and delectable contribution to an event over the next few weeks, I recommend you take no more than ten minutes to make this knock-out, nutritious ranch dip. FYI: you can turn this into a dressing by adding an additional third cup of water. In blender, mix cashews/sunflower seeds/avocado, water, garlic clove, lemon juice, black pepper, onion powder, and garlic powder until evenly mixed. 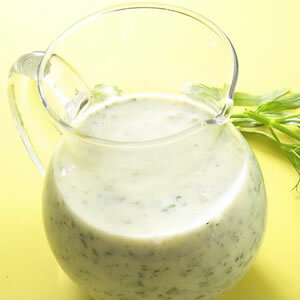 Add chopped dill, parsley, and chives; fold into dressing until evenly spread out. I also find that nonfat dry buttermilk really helps. Oops! Can’t believe I missed that. 1/3 of a cup.